THE BIGGEST RIVALRY IN ENGLISH FOOTBALL IS HERE! The Red Devils will host the clash with the Scousers on March 10 at Old Trafford. Manchester United grabbed those 3 scintillating points against Chelsea in the last match with Lukaku equalizing and Lingard scoring the winning header, they're 2nd in the PL with 59 points. Whilst Liverpool won 4-1 against West Ham United in their last match, 3rd position in the PL table with 57 points. Interestingly both have a positive Goal Difference of 33. Who do you think will grab those precious 3 points? Will it be JM's boys or Klopp's army? 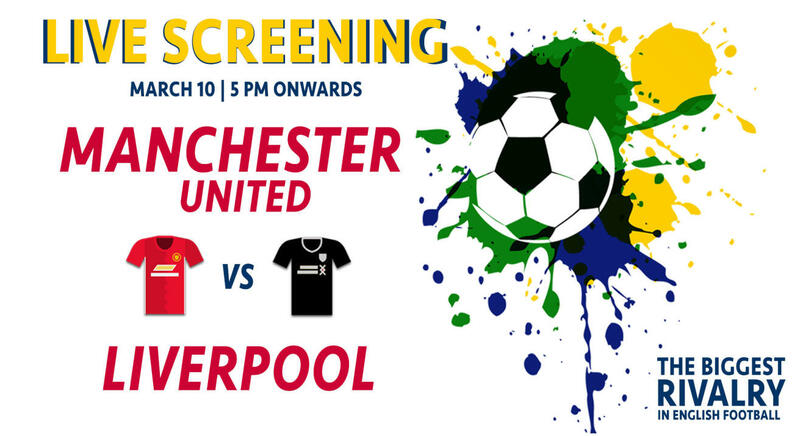 Kasa Kai Mumbai along with its sister concerns is organizing screenings in multiple cities for this highly anticipated clash. Come, grab a beer and enjoy this game as we try to create a stadium like atmosphere with a big screen, commentary and hordes of enthusiastic fans around. What are you waiting for? Book now! 1. Will the match commentary be played on the audio system? 2. How do I redeem the entry amount? 3. What is the entry amount redeemable against? 4. What does the happy hours entail? The 99 special menu of Hoppipola will be available to order from. 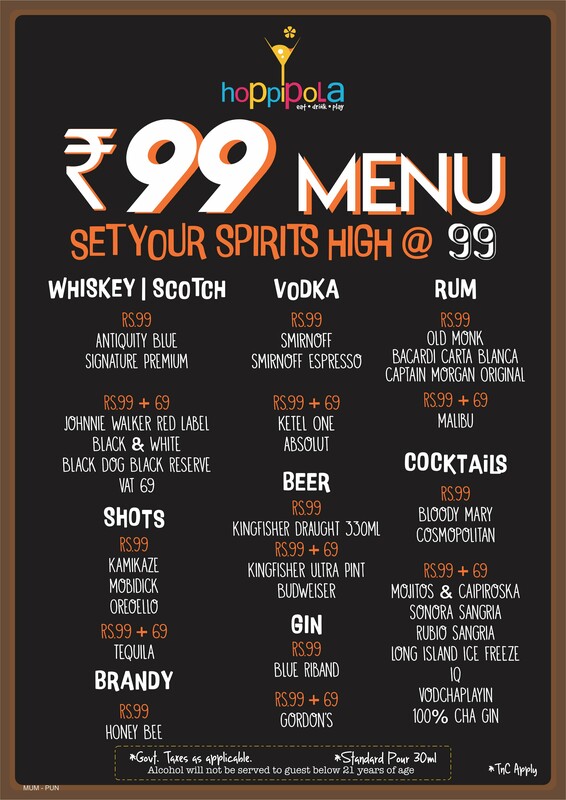 A lot of liquor options are available for Rs 99 or 99+99. The menu has been attached to this page for reference.